A detective adventure game inspired by the works of H.P. Lovecraft. The production is set in the 1920s, in the fictional city of New England, suffering from a supernatural flood. The Sinking City is a detective adventure game inspired by the works of H.P. Lovecraft and his Cthulhu Mythos. The production was developed by experienced Ukrainian studio Frogwares, known for the popular Sherlock Holmes series (including the 2006 Sherlock Holmes: The Awakened, also based on Lovecraft's stories). The Sinking City is set in the 1920, in the fictional city of New England. The city suffers from a massive flood, which obviously has supernatural causes, and the terrified citizens succumb to madness and doubt. You play as a private investigator, whose task is to resist the mass hysteria and discover the cause of the mysterious events that brought New England to the brink of disaster. 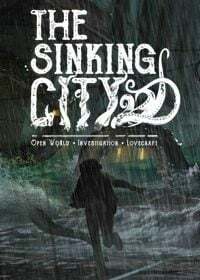 Mechanics-wise, The Sinking City utilizes many elements from the Sherlock Holmes series. Therefore, the gameplay is slightly different than in most adventure games, focusing first and foremost on the investigation. The game is not quite linear, however, as it features an open world, the largest one to date in a Frogwares game. The story can be thus explored in a non-linear manner, and the order in which you visit locations and discover clues depends on your actions. Unlike the late Victorian style of the Sherlock Holmes series, The Sinking City features a heavier and darker atmosphere, which should appeal to H.P. Lovecraft's fans.